Chef Sharwin Tee | Chef Sharwin’s got a New Book Out! Chef Sharwin Tee has cooked all over the world, written a cookbook and hosted his own cooking show, but none of it should have happened at all. Just ask him! 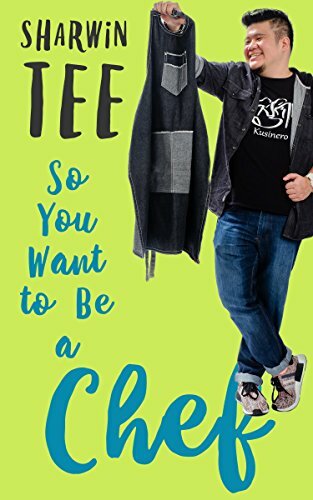 So You Want to be Chef chronicles his journey to a life he never anticipated, beginning from watching a cooking show at 6 years old, his culinary training in Vancouver, his experiences working in the food industry of Manila, to the realization of a childhood dream 25 years after. It’s a roller coaster journey of a self proclaimed “ordinary guy,” filled with blown up ovens, finger cuts, sabotage and oven burns, a wholistic picture of the food industry that you may or may not want to enter. A delicious must-read, not only for those thinking about working with food, but also those that absolutely love it.